However, story or not, books contain words, and words convey ideas and ideas, concepts and perspectives are either true or they are not. If concepts in a Christian novel (The Shack is not a Christian novel (By ‘Christian’ we mean a Christian world view based on the truth of the Bible), though it’s packaged to look like one) are not biblical, one must ask why the author (who is presumably a Christian) would promote such ideas. It begs the question, why can’t a well told story also be biblically accurate? As Christians should we support such work by purchasing the books and related materials, to the financial benefit of its authors and publishers? True, The Shack touches us emotionally, and speaks to the suffering and pain that is common among us in this world, but then many secular novels do as much as this! How is this novel different from any of its secular counterparts? It purports to be a ‘Christian’ novel and presumes to teach us things about God, and life on Earth for the believer, and here those who love the Word of God supremely, must challenge its tenets. As you know, Anne Kisly my co-writer for T.T.U.F. has already written an article Burning Down The Shack, based on the book (with the same title) by James B. De Young; and I now submit this second article on this novel for your consideration. Larry DeBruyn starts out his first chapter CANON OR CHAOS with a foundational understanding that all religions differ from one another, and that Christianity stands apart because it’s not a religion. Christianity is a spiritual reality based upon a relationship with God as our heavenly Father, made possible by the blood atonement of Jesus Christ, who died for our sins, to justify us in our Father’s sight, and deliver us from eternal death, and to eternal life through the indwelling Spirit. Today, as DeBryun points out, there is a deplorable lack of Bible study in today’s churches, and where Bible reading is maintained, its often done in these paraphrases that butcher the Word of God, such versions as The Message Bible (I refer to it as the Message Babble) and the New Living Translation (more accurately, a paraphrase). Christians are no longer nourished by the Word of God, which is the Bread of Life; rather they subsist on the paraphrases of God’s Word, the ‘soda crackers’ of an anemic Bible, influenced by temporal philosophies of this life. We have covered before in a previous article our observations on the lack of discernment in the churches (Where is the Discernment Gene? ), and the only means by which such spiritual discernment can be restored. In a way, it’s a shame that so many discernment ministries are even necessary as this is a function that the entire body of Christ should be exercising. The fact that it isn’t functioning is a sort of indictment against us. In today’s Post-modernist world where seeker friendly and Emergent philosophies are pandemic, the Word of God is perceived as being open to subjective views, and not a source of objective truth; the gospel and its great commission made by the LORD Jesus Christ is seen as irrelevant (??) or even misunderstood, and most Emergent leaders claim that they “don’t know if the church has ever gotten the Gospel right”. Such a questioning nature is comparable to the age old question posed by the serpent, indwelt with the spirit of Satan, “Yea, hath God said . . .?” back in Genesis chapter 3. Holy living is being replaced by hedonistic living; sanctification by spiritual sloth and sinfulness; faith and humility unfeigned by pretension and pride. On this basis the precepts as found in The Shack have been readily accepted, or at least ignored in favor of “a good story”; but those who love God’s Truth don’t have the luxury of either acceptance or ignorance of these lies! We will now examine some of the statements and views of this work and compare them with scripture, and determine where any such deceptions lie (no pun intended). The lead character in this fictitious story, Mackenzie, has suffered the loss of his daughter, who was believed to be brutally murdered in an old shack; later he receives a note signed with “-Papa”. The author, Paul Young used to have an 80 minute commute to work every day, and it was during these times he would have imaginary conversations with God, that is, he would talk to God, and God would talk back. He would fill legal pads of paper with dictation and notes based on these conversations, all about subjects on ‘suffering, pain and evil’. A friend of the author, who claims to know him well states that these conversations were in fact, real and not at all imaginary; if they were imaginary then they should be dismissed as any credible source of truth. If they weren’t, and they don’t agree with scripture, then one must question who these ‘conversations’ were with! God indeed prefers that we, His children, listen to and follow sacred Scripture, and that proper interpretation is found by those born of God’s Spirit, and comparing scripture with scripture to discern the meaning of God’s Word. Interpretation is not intended to reside within the power of the reader (No private interpretations allowed! see 2 PETER 1:20). To suppose that “God’s Voice had been reduced to paper” suggests that the paper has somehow diminished the potency of that Voice and any inherent meaning of the Word spoken by that Voice. This in turn questions the authenticity and efficacy of the scripture and those who were inspired to write it. Almighty God is fully capable of using the human mind and heart, and any human language, under the guidance of His Holy Spirit, to adequately and thoroughly convey the essential truth of His Word. If He were incapable, then He would not be Almighty. Thus the assertion made by Paul Young can only engender questions and doubts in the minds of the readers. God’s Word recorded on paper (or parchment for that matter) is alive and powerful and works effectively in our lives! These assertions are blatantly incorrect; while it’s true that Bible scholars and others are useful in determining the authenticity of artifacts and parchments, the Word of God itself does not require intellectuals or scholastic authorities to be understood. The common person on the street, if guided by the Spirit of Truth (JOHN 16:13) Who may be found if sought wholeheartedly (JER 29:13) can readily understand the meaning of God’s Word. The writers of the scriptures were hardly uncivilized, but supposing that they were, why then would intellectuals be required to properly interpret their writings? GOD BY ANY OTHER NAME, IS STILL . . . GOD? The image and portrayal of God as imagined by Paul Young in this work, conveys ideas and perceptions about God that are not biblical. His descriptions about his character of ‘God’ creates an image in the mind of the reader, and such images, be they constructed of words, or wood, stone or precious metals, regarding the representation of God Almighty are forbidden. God can speak, and He alone should speak, for Himself through revelation of His nature, His character by way of His Word. For any other to do so, apart from that revelation given to us in the Bible, is not merely presumptuous, it’s blasphemous. Obviously when we consider who God is, we heed what the scriptures tell us, and they declare that God is Spirit, and we know that a spirit is not male or female, because such designations require bodies, and involve gender. However, throughout the Bible, God is portrayed as our “Father” not “Mother”. Dave Hunt validly points out that God couldn’t reveal Himself accurately as a mother, because a mother births her creation (children) out of her self; it’s the father that delivers the seed which separates from himself and combines with the mother’s egg, which then produces another life. Yet in The Shack, God or ‘Papa’ is revealed as a woman, not a man; a female persona, rather than a male. DeBryun discovered an article written by the New Age heretic, Rev. Dr. Matthew Fox entitled, The Return of the Black Madonna: A Sign of Our Times or How the Black Madonna is Shaking Us Up for the Twenty-First Century. The Black Madonna is also the Egyptian goddess known as Isis. She has the ability to guide distressed persons to find emotional healing within. Sound familiar? The “inside” of things: is this an endorsement of panentheism? That is, the mystical belief that God dwells IN all things of the Universe? That the Divine lies in darkness? Scripture plainly declares that “God is light and in Him there dwells no darkness.” 1 JOHN 1:5. The character known as ‘Papa”, this image of a black afro-American woman, does as much for Mack on page 226 of The Shack. Thus the imagination figures prominently in the writings and endorsement by Fox in regards to the goddess, the Black Madonna, and likewise imagination figures prominently in the writings of Paul Young, as he puts his words into ‘God’s’ mouth, as well as Sophia’s mouth. Fox’s Black Madonna and Young’s Elousia a.k.a. ‘Papa’ both express “their gender diversity, nurturing of human hearts, emphasis upon developing personal relationships, concern for the environment, and form archetypal metaphors around which the mystery of life and suffering can be probed and explained, and upon which transcendent values can be formulated and applied for the social welfare and unity of the world’s diverse and divided population. These ecumenical metaphors are increasingly becoming popular in the Emergent Church.” Pg. 27. It’s worth noting that there is another goddess that is worshipped in the Polynesian pantheon is actually referred to as “Goddess PAPA”. From the magazine Friends of Creation Spirituality, Jan. 2006 – See Who Is This Black Madonna? you will see in this link how innumerable goddesses are worshipped, and each of these bear eerie similarity to the attributes, character and abilities of Elousia. Coincidence? “The Shack describes Jesus to be a quite human, a relatively unattractive Middle Eastern Jewish man with a big nose who functioned as a repairman (Pg. 111 of The Shack).” Young incorrectly asserts that all, including the character of Jesus in his story, “originates or birthed from God” (Pg. 148, The Shack). “The novel pictures Jesus’ desire ‘to join all humans in their transformation into the sons and daughters of my Papa, into my brothers and sisters into my Beloved.’ In this regard, never once in the novel is Jesus (His human name) ever referred to as “Christ” (His messianic and divine name)” Pg. 33, Unshackled. This is absolutely false doctrine! Jesus is the only begotten Son of the Father, not one who along with the sons and daughters of ‘Papa’ is “being transformed”. Jesus Christ is the only begotten of the Father, the Son of God, while we are adopted children of God. The Gardener of the retreat center is another female who represents the Holy Spirit, and her name is . . . ? Sarayu; and what is the significance of this name? The Sarayu (also Sarju; saráyu- sarayū-) is a river that flows through what is now the modern Indian state of Uttar Pradesh. This river is of ancient significance finding mentions in Vedas and Ramayana. It is often considered to be synonymous with the modern Ghaghara river or as a tributary of it. One must ask the question, of all the names Mr. Young could have selected, both for the Father, and for the Holy Spirit, why would he have chosen pagan names from different world religions and utilize them in what’s supposed to be a Christian novel? How does God our Father, and the Holy Spirit feel about having Themselves misrepresented by such names?? Failing to mention that ‘Sarayu’ is the name of a river in India that portrays a significant role in the religion of Hinduism is misleading at best (one of the accompanying links at the end of this article goes into more detail about this river and its mystical elements in Hinduism). Another character, not related to the Trinity of The Shack is ‘Sophia’ which also happens to be a goddess or spirit in the Greek pantheon of the gods. “Under the cover of biblical allusion, The Shack presents a god which may be compared to mythological deities. Readers ought to beware, lest by authorial sleight of hand, they embrace spiritual delusion for reason of The Shack’s biblical allusion . . . Presenting a potpourri of spiritualities that combine biblical allusion with mystical delusion, The Shack will surely resonate with an Emergent Christian mindset that possesses no scruples about flirting with New Age/Spirituality. The fact that the novel is fiction makes no difference – it projects verbal imaginings that induce idolatrous images of God.” Unshackled, Pg. 34, 35. “Wrong ideas about God are not only the fountain from which the polluted waters of idolatry flow; they are themselves idolatrous. The idolater simply imagines things about God and acts as if they were true. Unshackled gets into another area that is becoming more prevalent in Emergent and New Spirituality circles. They are beginning to explore something called quantum physics, and leaping from this rather mysterious field of science which deals with sub-atomic reality (muons, pions, quarks, neutrinos, and other particles that seem to defy definition, as well as reason and known laws of physics) to that study known as metaphysics, which explores the mystical, ephemeral, quasi-reality; this is the stuff that new agers and their beliefs are made of! In the order of all things, we have something called the Cosmos, which itself according to ancient Greek philosophy is a merging of the Chaos and the Logos; chaos being the disorderly elements of all things, the Logos being the order, logic, mind of a Supreme Consciousness. Thus the Cosmos is the collective elements of all that is in reality, and its given order by its Consciousness. In various mystical and occult circles, the phrase “As above, so below” is very significant. It’s the motto of mystics, and basically it means that just as the orderly reality of the “above” or higher plane of existence is one, so too that lower plane of existence of “below” (in which we live in this world) should become and gradually is becoming orderly with that higher plane of order. You might be shocked to know that Eugene Peterson’s bizarre paraphrase of The Message Bible has this occult phrase contained in it, incorporating it into the LORD’s Prayer! The Shack talks about the “messiness” of life and yet also, through the character of Sarayu, addresses this issue concerning ‘fractals’; essentially pockets of pattern, and ‘openings’ of order from above, that penetrate the messiness of that which is below. They are patterns that can be recognized and if followed, will lead to ‘enlightenment’ which in turn will lead to ‘Oneness’. As Above, So Below speaks of the ultimate ‘Oneness’ (Monism) of all things, that God and His/Her/Its Creation are really one and the same thing, and without any real distinctions (note that the word ‘creation’ is spelled with a capital ‘C’ and when you see it spelled this way (occurs 19x) in The Shack, it refers to the deification of the universe. Here is a perfect example to demonstrate the biblical truth that all is not ‘One’, although it was when God first created all things; at least ‘one’ in the sense that all was in harmony with the will of God; there were no disruptions, no disorderliness nor defiance. Still, God was ever transcendent and distinct FROM His creation. It was when Satan, and later Adam and Eve, rebelled against the will of God that the creation was ‘broken’ into two spheres of reality. That realm of heaven in which God dwelled and was unspoiled by sin, where He and His Holy angels dwell is the first; the second realm was the fallen creation that housed the physical universe, mankind and all corporeal life on this planet. “The Cosmic Christ is the “I am” in every creature. The divine mystery and miracle of existance is laid bare in the unique existence of each atom, each galaxy, each tree, bird, fish, dog, flower, star, rock and human.” The Coming of the Cosmic Christ, The Healing of Mother Earth and the Birth of a Global Renaissance (San Fransisco: Harper Collins Pub. 1980) Pg. 154. This ‘Cosmic Christ’ is no doubt the one who will be coming “in his own name [whom people] will receive”, just as the LORD Jesus said in JOHN 5:43. Just as all is in perfect harmony and subjection to the LORD God in His realm of heaven, Satan is endeavoring to create a unity, and subjugate all under his authority in his realm of the world about us. This is the essence of the satanic order of global governance, both politically and spiritually. Eventually all will be ‘One’ on planet Earth, but unfortunately it will be in alignment with a crescendo of anti-Christ rebellion against the LORD God and His Christ (PSALM 2). Not until Satan and all who follow him are judged and sentence is carried out, and evil is finally and ultimately banished from a restored creation, will all once again be in harmony and ‘one’ with the will of God! 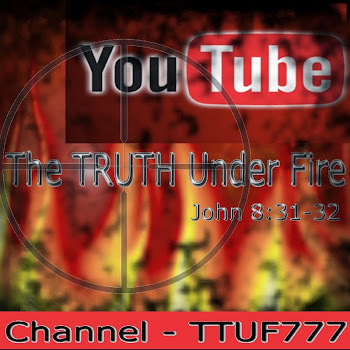 We here at T.T.U.F. have completed a series on Universalism, and so I won’t say a lot about it here, but suffice it to say that the author of The Shack, most certainly subscribes to this aberrant teaching. Reconciliation is therefore unilateral, that is, it moves in one direction, from God who in His grace, saved us, and reconciled us to Himself. We had need to be reconciled to a Holy God for we transgressed His Holy Law and were found to be sinners; God who is wholly pure and righteous did no wrong against us, therefore He was and is in no need to be reconciled to us. Yet in The Shack, the character of ‘PAPA’ has clearly stated, “through his (Jesus’) death and resurrection, I am now fully reconciled to the world.” The Shack, Pg. 192. No where does it state in scripture that God is reconciled to the world. Always, the Bible declares that it is we, sinners saved by grace that are reconciled to God. Along with the above passage we also have ROM 5:10 and 2 COR. 5:18-20 which clearly indicate who is reconciled to whom! To suggest that God fully reconciled Himself to us, would mean that since this is so, all souls are automatically acceptable to Him, thus the dogma of Universal Reconciliation or Universalism. ‘PAPA’ further states: “I don’t need to punish people for sin. Sin is its own punishment devouring you from the inside. It is not my purpose to punish it; it’s my joy to cure it.” The Shack, Pg. 119-120. It’s quite true that sin is the most destructive force in the world; it took no one less that God made flesh to ruin its devastating power over humanity. Likewise it is a joyous work that the Father does in leading lost souls to Christ Jesus where they can acquire salvation from sin. The LORD Jesus Himself, for “the joy that was set before Him, endured the cross” (HEB 12:2) and is pleased when a sinner repents and comes to Him. It’s Gods’ heart to bring His grace and forgiveness rather than justice and judgment upon a sinner, and yet if that sinner refuses reconciliation, there is nothing left but judgment. To say that God doesn’t punish sin is entirely unbiblical. God is the Holy Judge and He will judge sin, and once judged, He will punish (We covered this quite thoroughly in the T.T.U.F. article on Universalism – Christ’s Court: Soon in Session). 2 THESS.1:9; HEB.10:29; 2 PET 2:9 are just three passages that clearly teach that the LORD will bring judgment and punishment to all who reject both Him and His Gospel. There is only one way to avoid the Judgment of God, and that is the LORD Jesus Christ, and salvation through Him! Jesus: the Best Way to GOD? These are but a handful of passages taken from the book, The Shack, and as we can see, it’s full of errors regarding biblical truth. While some may comfortably excuse these errors because they are found in a work of fiction, it should never be permissible to misrepresent God or His Word, either in spoken or written word. It is the prayerful hope that those of you who’ve read this book may have learned something regarding the beliefs of the author, William Paul Young, who himself stated in his view that God the Father is perceived by many who “have had bad theology, as being aloof and distant, even angry”, and he “wanted to bridge this gap” through his book to show that “He is on our side of the table”. Answer: There is no need to bridge the gap between God the Father and humanity; its already been bridged through the atonement of Jesus Christ, who takes away the sin, the pain, and the shame of the world – it’s JESUS that we run to Mr. Williams, not The Shack! For further information regarding the errors of this novel, please examine the following articles by Eric Barger from TAKE A STAND ministries as well as from other authors. May the LORD Jesus continue to grant us, His children, spiritual discernment and likewise grace to endure steadfastly unto the end, holding fast the Word of Truth! Please pray for Paul Young as well, that the LORD would steer this gentle, seemingly sincere man steadfastly into His Word, and His Word alone! Amen! Hey Jim, great article and thank you for defending God's Word above all. As you know, some of our readers reply on Facebook and I responded to one reader who was offended by this article...some of which I will post with some other comments to reflect on. There are plenty of examples of why "The Shack" is not a good read, mainly because it teaches another gospel. That should be a no-brainer! "The Shacks" true in-depth meaning is heretical and should not be embraced by anyone calling themselves a Believer. Many people are being moved by EMOTIONAL STORIES and seduced into accepting another Jesus rather than the Jesus of the Bible...why? This generation is so addicted to television and the Hollywood style of entertainment that we've brought it into our Christianity. Is God's Word so missing from the Church...is there not enough in the volume of it to write about, discuss, teach, instruct??????? Do we have to resort to fictional nonsense to relate to God..........HOGWASH! Where is discernment? It is obviously missing or this book would never have made it to a top seller. How sad it is that Christians are being deceived into this false message about God and embracing an all-inclusive counterfeit Christianity that draws in fans but DISTORTS THE BIBLE. Where is our love and allegiance to the TRUTH...or To God Almighty? Shouldn't we as Christians defend the faith, our God and His Word above any work or writing first and foremost.....this book ought to be offensive to every CHRISTIAN. Why would a book that contains several heresies about God be so popular with those who ought to know Scripture? It has caught on like wildfire because CHRISTIANS TODAY LET THERE FEELINGS DETERMINE TRUTH RATHER THAN LET TRUTH DETERMINE THEIR FEELINGS. 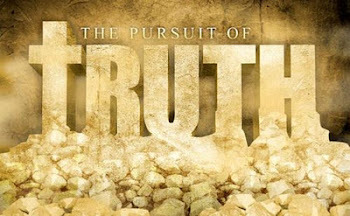 Either God's Word is Truth or it is not....just who are we living for anyway? Do we live for God or for ourselves? These are questions that we all need to challenge ourselves with and each other.....c'mon brothers and sisters...we must fight the good fight of faith...together!!! !